Now, marketers and any content creators can add links to their Snaps. Snapchat is taking a step that Instagram simply hasn’t, with new features on both its iOS and Android app that include allowing marketers and any content creators to add links to their Snaps. The most notable announced feature is Paperclips, allowing users to attach websites to Snaps, simply by tapping the Paperclip button within the Vertical Toolkit and adding the URL. Users viewing the Snap can then swipe up to open the website in Snapchat’s built-in browser. Until now, this feature was limited to paying advertisers; now, it’s open to the entire user base. Benefits include adding more commentary to a Snap or background information or simply letting the viewer know where they can learn more. Of course, to avoid abuse of community guidelines, Snap has a number of safety tools and provides information about potential harm some links may do to a user’s system. Objectionable links can also be reported by viewers. Other features announced include some funky new options, including backdrops which help Snaps stand out against an artistic background and voice filters to make your voice stand out. It is 2017 and all business owners are looking to increase their revenue and profits. However, just because you want to lose 20 pounds doesn’t mean that it is going to happen right away. You need to come up with a good developed plan and strategy. Since it is 2017 and most businesses are already utilizing the Internet to increase marketing and sales there is no better place to start than by increasing the online traffic and revenue to your website. Below, you will learn some amazing tips and information that will help you build your online traffic and revenue for the New Year. As mentioned above, most business owners have already dipped into the online market for the most part. There is a good chance that you already have a website, and if so you have probably been using the same layout and format for years now. If you do not have a website, now is the time to build one. However, already having a website can be an advantage, because it means that you are somewhat established in the online community. The only problem is that the longer websites are up and running the more prone they are to develop errors and grow out of date. Both of these things can hurt your search engine ranking, so it is imperative to update your website to the fullest. Social media sites have been around for a number of years now, and they grew ever so popular. Everyone around the world from 9-year-old kids to major CEOs are taking advantage of the social media blitz and there isn’t any reason that you shouldn’t do the same. However, the only problem with this is that since social media has been around for so long it can be really hard to get noticed and stand out amongst the competition. You either have to do something really creative to draw people’s attention, or you need to greatly increase your following. Fortunately, for you, there is a cheap and effective way that you can buy followers, and make it appear as you have a huge number of followers. The thing with social media is, the more popular you are the more popular you will continue to grow. People were to follow things and see content that is trending throughout the world. Pop-up ads are another marketing technique that has been around for ages now. Unfortunately, this is a bad thing because people came up with creative ways to make these ads pop-up automatically when you visit their site or click on a link, which became very annoying to online consumers, as it greatly affected their loading times and interfered with their Internet surfing. Eventually, consumers started blocking these pop-ups and quit taking them seriously. This is why it is imperative that you build more banners, and post more ads on social media sites, and your own website. You do not need a pop-up ad to catch someone’s attention. With the right color and content, just a plain banner can attract the right consumer. Social media marketing is a rapidly changing landscape, but perhaps nothing these days changes faster than video. As I wrote a few months ago, video is the medium for social in 2017. Internally, we’ve given a lot of thought this year to the best ways to approach video and execute for a wide range of formats, from Facebook Live to Snapchat. So, when I came across this new high-level infographic about marketing in a “video-first” world, I knew I’d have to share. In a world where over 500 million people watch Facebook videos every day, video marketing is too important to be glossed over. 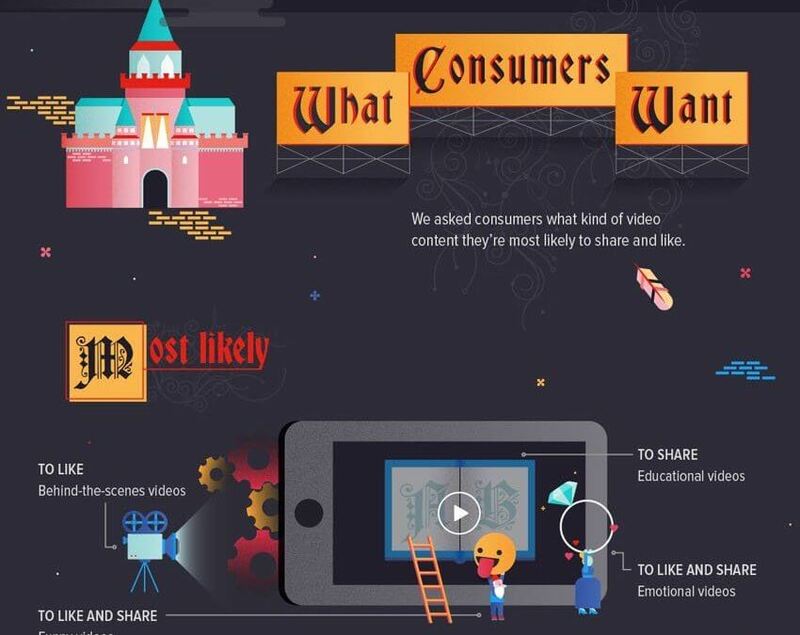 This new infographic looks at video from every angle through the lens of a survey of 1,000 consumers and 500 marketers. 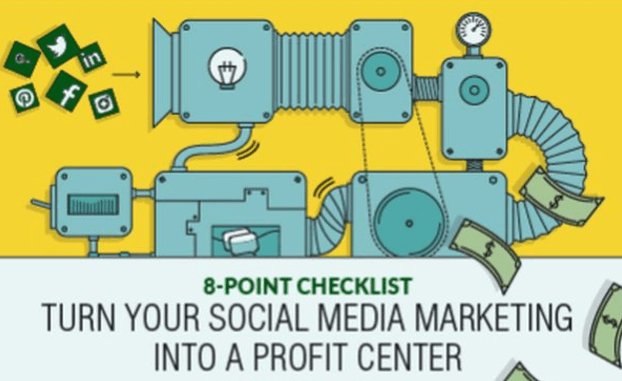 We’ve reposted the entire infographic below, as well as some key insights for those of you who just want the highlights (…because this infographic is a long one!). Nearly two-thirds of consumers say they’ve bought something in the last month as a direct result of watching a marketing video on Facebook. Always, always, always use captions on your video. Why? Because 85% of Facebook video is watched with the sound off. Adding captions is very easy to do on Facebook. Simply upload your video, then click ‘Captions’, then click ‘Generate’. Facebook will automatically create an SRT file for you, matching captions to audio markers within the video. You can then edit the file, correcting what Facebook “hears” (though their natural voice recognition tech is usually pretty accurate). Not a videographer? Don’t worry about it. 92% of marketers say they are making videos with the assets they already have. Looking for a good way to get your feet wet? Facebook makes it easy for you to create videos. Simply upload pictures, pick some music (provided by Facebook), and add your own voiceover. Facebook will handle the rest. What Kinds of Videos Should I Make? Funny videos get likes and shares. Emotional videos get both likes and shares. Check out the full infographic below, and let us know in the comments: are you using video for your marketing? Built my new web site and is helping me with my ad campaign. Very Happy!